There are many board games for the elderly that you would just love to spend your time with your buddies and family members. Board games can be played at home or can be enjoyed outside in parks. You can plan a picnic with all your retired friends and can enjoy them. Few popular ones are chess and monopoly; these really give you a challenging experience and also refresh your memory power. Nowadays there are also many multi-player games that you can also enjoy over the internet, you can also purchase them and order at home. 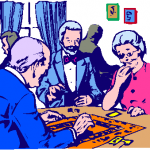 There are many activities for the elderly but board games are usually the favorite of many. One of the interesting games that I came to know about is connect four. Connect four is the game for two people but you can purchase few of them and can make it available for many players simultaneously. In this game you have 21 yellow checkers and other 21 red checkers. It is very simple and you can enjoy it while having a picnic with group of your friends. It would be bring utter joy and happiness and will also make your day filled with fun and energetic. The main object of this game is to connect the four checkers wither vertically, horizontally or diagonally. In simple words, you can say that it is also similar to making a sequence. Before the start of the game, decide who is going to take the first chance. Every player needs to drop one of his checkers in the slots that is located on the top of the board in any of the seven columns. 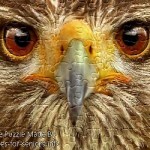 When you do this, the checker will slip down and take the empty place. You need to arrange four checkers of similar color in a sequence to be a winner. Connect four is also famous with other names such as plot four or four in a row. It is also very useful and interesting board game for the elderly as it involves some basic mathematical and strategic skills. It may look simple to play but you can always program it to be more complex too. Some strategies that you can use is start your first chance by plotting the checker in the center, this is the best way to win this game. Another important strategy that you can use is always plotting your checkers either besides or above your opponent’s checkers. This will stop your opponent to make two sets of checkers together and it will give tough time for the opponents to set their checkers in the right place. The main theme of this game for the elderly is how tactically and efficiently you can plot your checker and also in the rapid pace. Always have a look at the columns and try to fill them with your checker, this will help you to maintain your sequence and give you an easy win. So don’t wait, just grab one of this game from your nearby store, plan for a picnic and enjoy this wonderful activity for the elderly.